The other day I was telling a girlfriend about the three meals I'd cooked from an inexpensive turkey I bought (yippee for November turkey prices!). She was surprised that I fixed a turkey on a weekday; I was surprised that she'd never fixed a turkey. I can see how that might happen, though--lots of people travel to their parents' homes for holiday dinners, so they've never had occasion to cook a turkey themselves. Turkey is a tasty, economical meat, but it mystifies many cooks, so I thought I'd do a little Turkey 101 here. First, you must buy a turkey. A good rule of thumb is to purchase a bird that is 1 1/2 pounds per person (this will provide plenty of leftovers). So if you need to feed 8 people, you'll want a 12-pound bird. If you're just feeding your immediate family, you'll probably just have to buy the smallest whole turkey you can find. 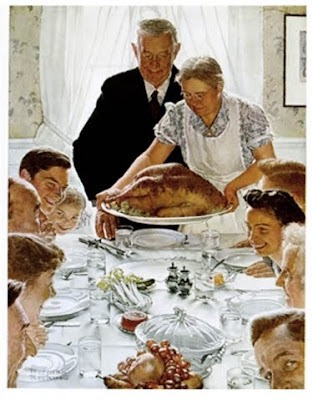 Any kind is fine—I've used fresh birds, frozen birds, even go-to-the-turkey-farm-and-choose-a-bird-from-the-flock birds. It's all good. If you select a frozen bird, thaw according to package directions (be sure to keep the bird cold while it's thawing, either by thawing it in the refrigerator over the course of several days or by thawing it in cool water). Remove the neck and the giblets from the bird. Doesn't look too pretty while it's brining, does it? When you're ready to cook your bird, remove all but one rack in your oven. Move that rack to the lowest position. Preheat the oven to 500 degrees Fahrenheit. Yes, you read that right: you want to start cooking the bird at very high heat. If you have a turkey roasting pan, now's the time to use it. Or you can use a large baking pan with a wire rack placed in it. 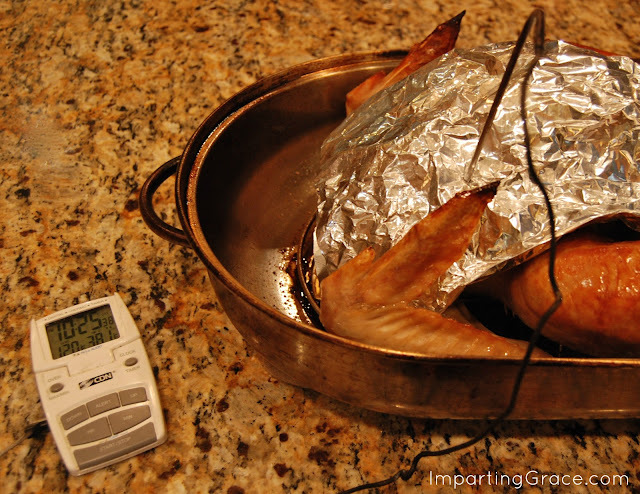 Or you can use disposable roasting pans (you might want to use two stacked together, since the turkey is heavy). Believe me, you don't need to spend money on a special pan for cooking your turkey. If you like, spray the pan lightly with non-stick cooking spray. 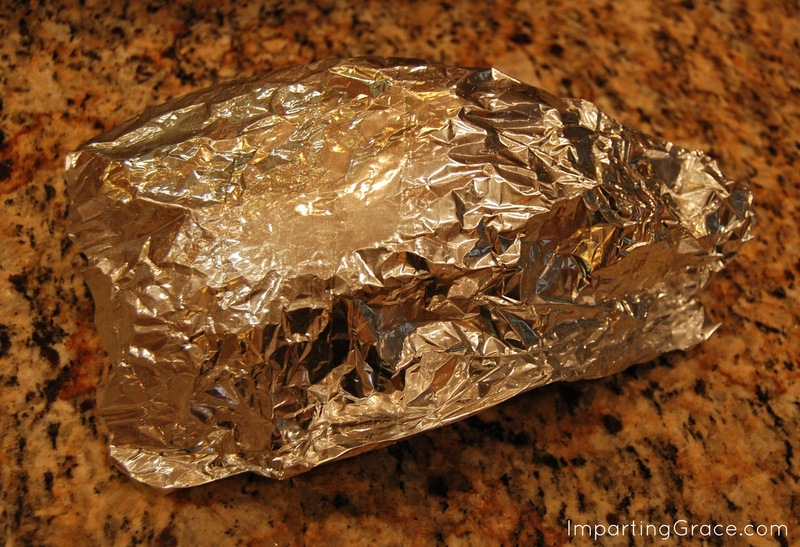 Now REMOVE the foil and set it aside; you'll use it a little later. See how it holds its shape? Put the turkey in your 500 degree oven and let it roast, completely uncovered, for 30 minutes. While this part of the roasting is happening, dump out your brining solution and clean your cooler thoroughly. I use bleach to do this. 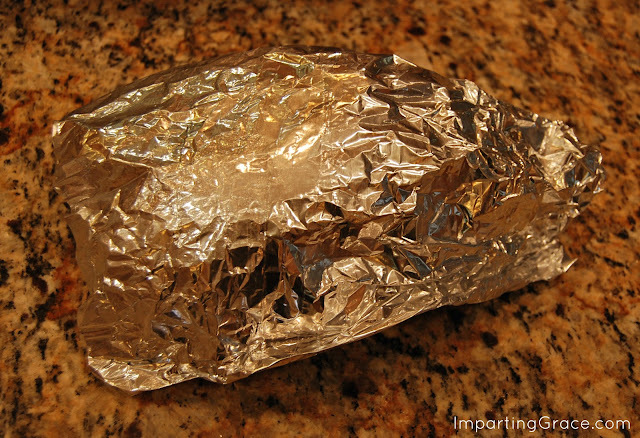 Take your foil tent and carefully put it on the turkey breast. You've already formed it to just the right shape, so you should be able to simply lay it in place. Be careful not to burn yourself on the hot roasting pan. Now stick a meat thermometer right through the foil tent into the thickest part of the turkey breast and put the bird into the 350-degree oven. You can also find meat thermometers at specialty shops and mass retailers. Just look for a moderately priced one. Remove the roasting pan from the oven. 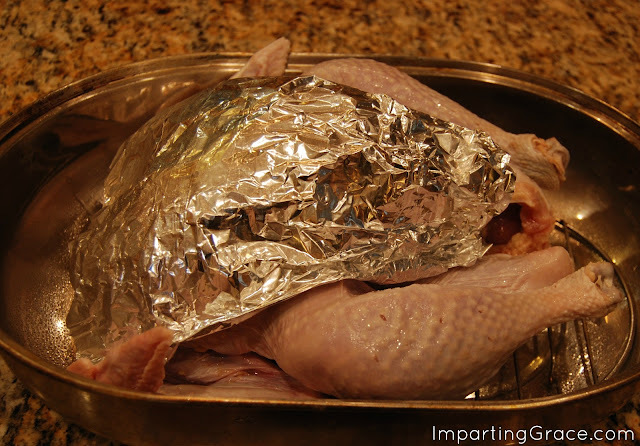 Cover the turkey loosely with foil and allow to rest 15 minutes before carving. 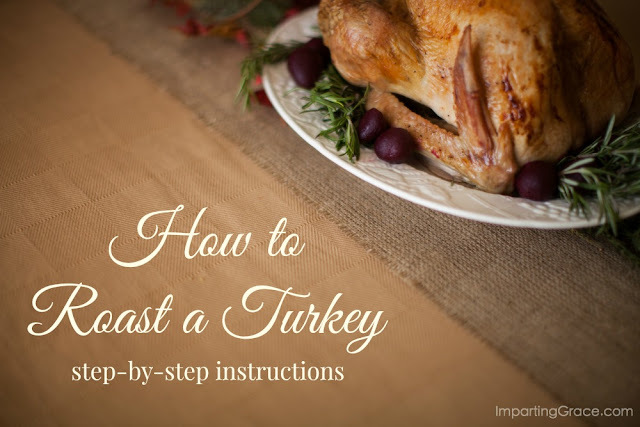 I allow mine to sit for 10 minutes, then I lift the turkey out of the roasting pan onto a cutting board or platter. Then I pour the pan drippings through a sieve into a sauce pan. I heat the drippings on the stove top to boiling. While the drippings are heating, I mix a couple of tablespoons of flour with a bit of water in a jar with a tight-fitting lid. When the drippings are bubbling merrily, I use a wire whisk to stir my flour-water mixture into the drippings. Ummmm. . . mouth-watering turkey gravy. 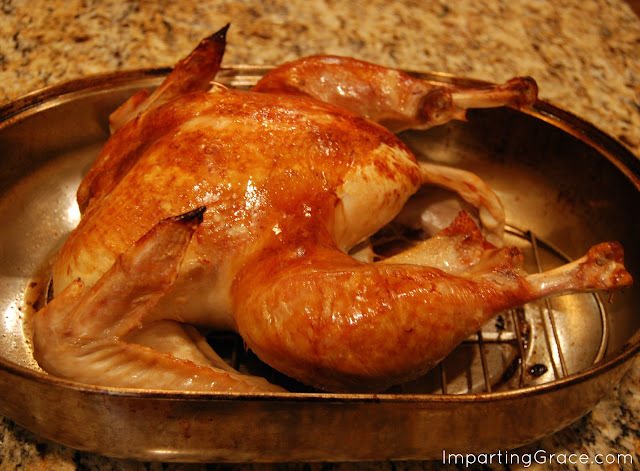 A word of caution: if you brined your turkey, your pan drippings will be salty. Be sure to taste the gravy before adding any seasoning. If the gravy is too salty, add more water and cook to reduce. Click here for ideas for turkey leftovers! What an excellent tutorial!! I have never cooked a turkey (gasp!). But, like you said, we've always traveled for Thanksgiving, and last year my SIL did the turkey when I hosted. :) Saving this!! I've done a few turkeys in my day, and the best ones, believe it or not, were the ones done overnight (yes, overnight!) in the oven. They always turn out moist and beautiful. You are such a well rounded person. You are a teacher, a crafty person, a good decorator...A good wife and mother, and a sweet blog friend. I enjoy you so much! I hope you will have a blessed Thanksgiving Richella. You did a great job explaining the turkey process. I have been making my own turkey since I moved out of the house 25 years ago. A couple of years ago, I found a Thanksgiving episode on FoodNetwork with Alton Brown. He brined his turkey. So, I looked up his brine recipe and have been making it ever since!! SO GOOD!!! It makes the most moist turkey. :) I hope you and your family have a wonderful holiday! I'm going to print this and put it in my recipe binder. I've never cooked a turkey and really should because I'd love to have the meat to use for all sorts of dishes. When I was growing up my mom always made "a small turkey" for Thanksgiving (which was really a "big chicken"--ha). Later we switched to ham because everyone just liked it better. I have friends who are horrified by this, but my family isn't very traditional that way. We still laugh about the year my mom didn't feel like cooking so we had fried bologna for dinner. I've cooked a turkey several times. When I'm having family over for Thanksgiving, I have to cook a bigger bird. So, I end up having to get up very early to prepare it and start the cooking process in order for it to be ready on time. It's not hard but it just looks intimidating because of the size. My husband takes over once it's in the oven and he keeps an eye on the temp. Then he does the carving. I'm looking forward to eating another one (that I didn't have to cook) this Thanksgiving! great idea, thanks for sharing. I have cooked several turkeys but usually with my mom nearby to help. Where we live turkey is really expensive as it comes over from Peru, so we only have it on Thanksgiving, but when we are in the US I will consider making it at other times. It is so tasty and leftovers, yum! 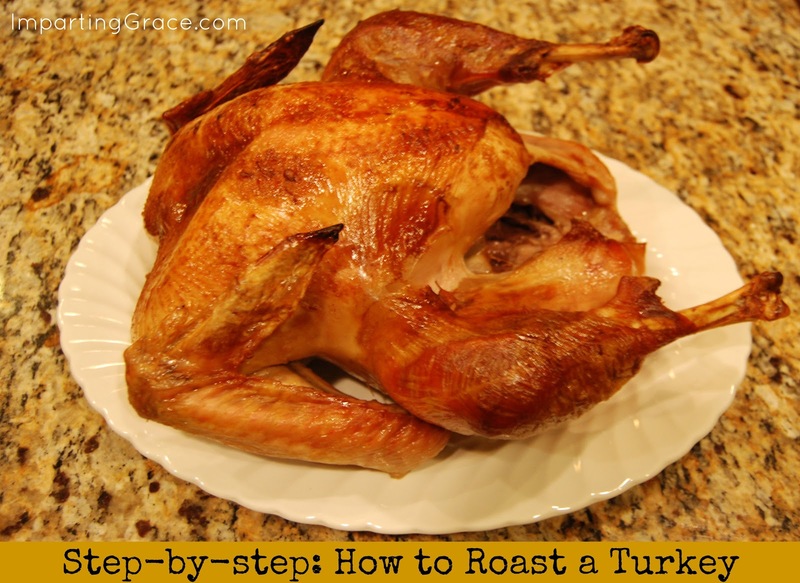 I've cooked a turkey almost every year for the past 25 years, and I still found this really helpful. In fact, I had never brined a turkey until last year when I read your blog and decided to try it. It worked great! Thanks for doing this--I'm keeping it in my inbox until Thanksgiving so I can refer to it. I must confess, I only buy turkey for Thanksgiving and Christmas dinners!! Usually during the year I like to roast chickens. I bet butter would taste better anyway..
Amen and Amen. You might very well be my long lost sister. We brine our turkey every year, and I brine whole chickens the same way before roasting them. Always perfect and moist. I buy 3 or 4 turkeys each November and keep them on hand in our freezer. Thanksgiving Dinner is actually one of the easiest meals to prepare... it is just all about timing. 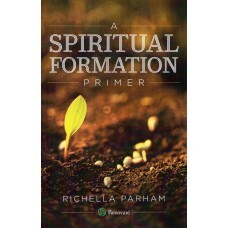 I SO need this, Richella! I'm doing the turkey this year. I saw brining bags at the grocery store this year, but I may use a cooler. Thanks for the great tips! !